The wait is finally nearing an end as Mr. Chandramouli is all set to hit theatres this Friday (July 6). A Thiru directorial produced under the Creative Entertainers banner and being distributed Dhananjayan Govind’s BOFTA Media Work India Pvt.Ltd with music by Sam CS, Mr. Chandramouli starring the father-son combo of ‘Navarasa Nayagan’ Karthik and Gautham Karthik has left many curious after the release of the film’s trailer a while back. Meanwhile, the film said to be a sports comedy has now gained a huge advantage ahead of its release after Santhanam’s Server Sundaram backed out of competition giving Mr. Chandramouli a window for a solo release. A big highlight in the film is actress Regina Cassandra, who has wowed youngsters in the ‘Yedhedho Aanene’ song. 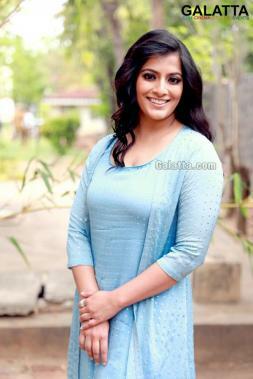 Actress Varalaxmi Sarathkumar too is part of the film and is said to have a crucial role.